as the wine cork turns: stacked. you remember that week approaching christmas where you started to feel terrible? splitting headaches, i don't even want to get out of my pajamas kinda week? oh yeah. i know that all too well as that's currently been my week. which explains me being mia. and although i never plan on a mini blog break, they just kind of happen. just like life. however, i am bringing some cheer into your (and my own!) 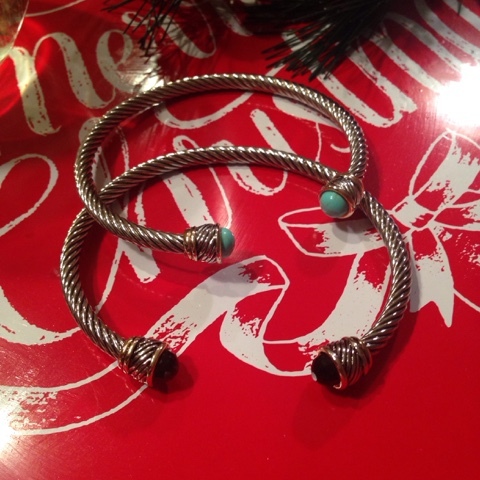 day by showing off these beauts - these cable cord bracelets from stacked accessories. the cool part about them is you can shop without ever having to leave instagram! that's right. scroll, scroll, double tap on a picture of your best friend, double tap on a picture of a puppy, scroll, double tap on that super hot outfit, scroll, scroll.. boom, there's stacked accessories. could they make it any easier for us? 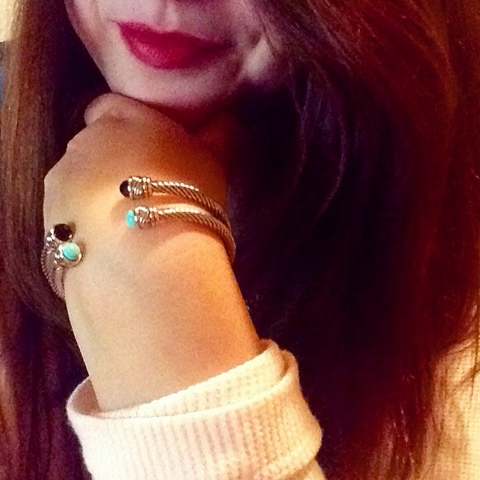 these cable cord bracelets caught my eye and i had to say yes. 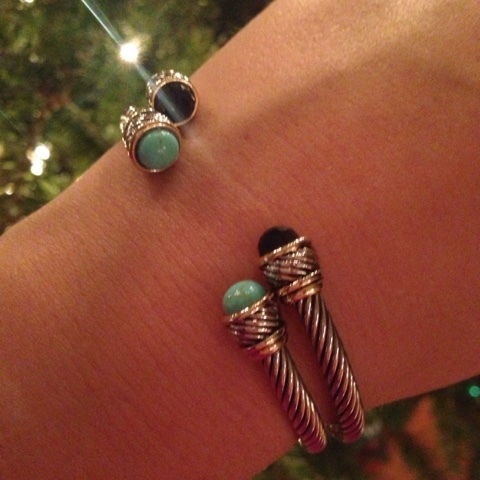 they are an excellent stocking stuffer idea! 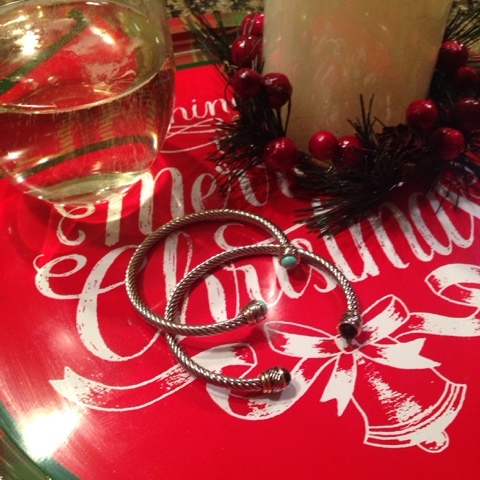 and today through december 21st, stacked accessories and i are co-hosting a giveaway! check out my blog instagram for more deets on how to win one of these gorg pieces in a color of your choice (between purple, crystal, & teal)! 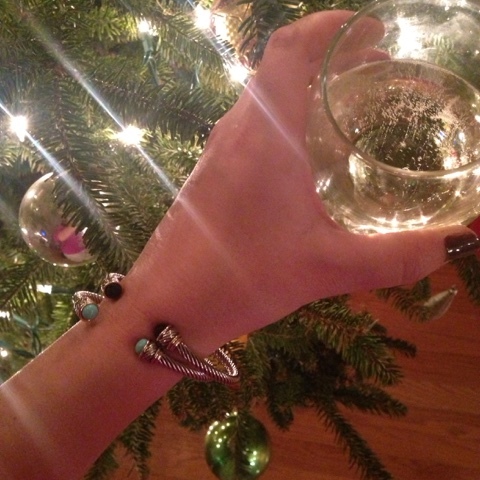 and if you do choose to slip the bracelet in your own stocking.... don't worry. we won't tell. I'm linking up for Thoughts on Thursday Natalie and Annie!